This printable, downloadable handout is recommended for high school students, elementary school students and adults at Pre-intermediate (A2), Intermediate (B1) and Upper-intermediate (B2) level. 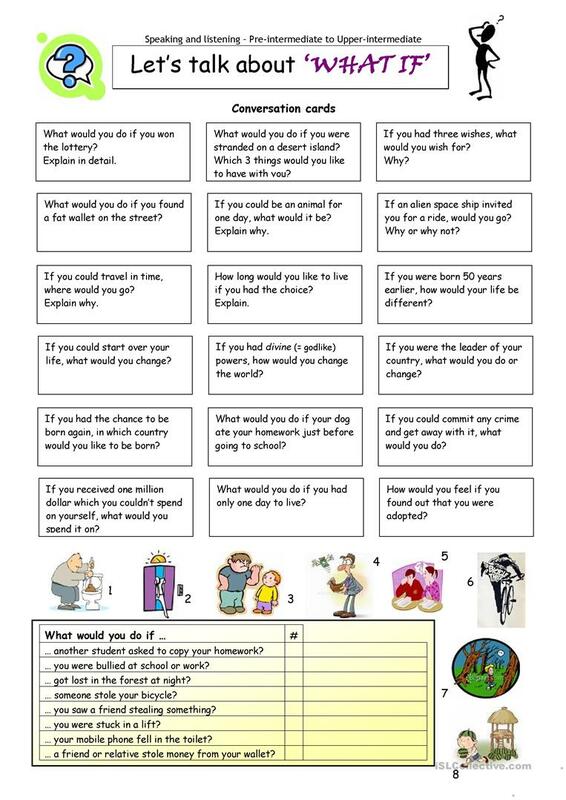 It is valuable for teaching Conditionals in English, and can be used for strengthening your groups' Listening, Speaking and Reading skills. You will find the key at the end of the worksheet.